SECTION 1: A Petition has been filed with the City Clerk of the City of Fowler, Kansas requesting the vacation of a street between Lots One (1) and Fourteen (14) of Block Four (4) and Lots Six (6) and Seven (7) of Block Three (3) of the Highland Subdivision of the City of Fowler, commonly known as “Ninth Street,” and the requisite deposit has been paid. SECTION 2: Due and legal notice was given to the public by way of publication in a newspaper of general circulation at least twenty (20) days in advance of the hearing. SECTION 3: No objection, either orally or in writing, has been made upon the Petition. SECTION 4: Vacation of the street located between Lots One (1) and Fourteen (14) of Block Four (4) and Lots Six (6) and Seven (7) of Block Three (3) of the Highland Subdivision of the City of Fowler, commonly known as “Ninth Street,” will not injure or endanger any private party’s rights and the public will suffer no loss or inconvenience. SECTION 5: Petitioner will receive justice by granting the Petition. SECTION 6: The street located Lots One (1) and Fourteen (14) of Block Four (4) and Lots Six (6) and Seven (7) of Block Three (3) of the Highland Subdivision of the City of Fowler, commonly known as “Ninth Street,” is hereby vacated. SECTION 7: The City of Fowler, Kansas hereby reserves an easement and right of way on the vacated property for municipal operations. SECTION 8: This Ordinance shall be in full force and effect from and after its adoption and publication in the official city newspaper. ADOPTED AND APPROVED THIS 10th DAY OF OCTOBER, 2016. On October 10, 2016, the City of Fowler, Kansas, passed Ordinance No. 381. 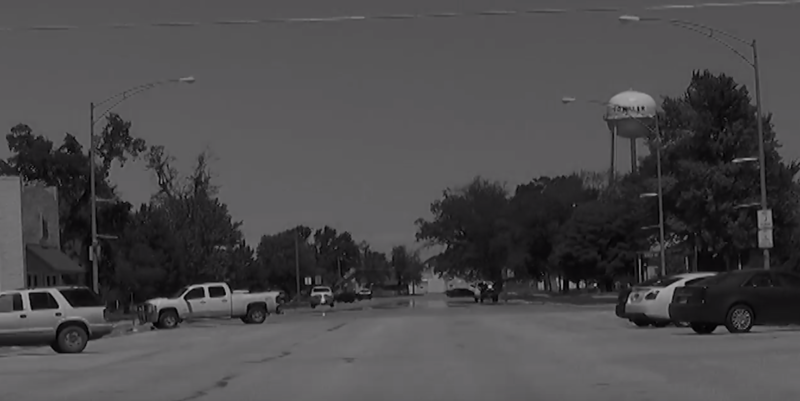 An ordinance approving the vacation of a street located between Block Four and Block Three of the Highland Subdivision of the City of Fowler, Kansas, commonly known as “ninth” street. A complete copy of the ordinance is available at www.fowlerkansas.com or in the office of the city clerk, 508 Main St., free of charge. This summary is certified by the city attorney to be legal, accurate and sufficient.